This book and its companion volume share the practical encouragement from a favorite Bible book. 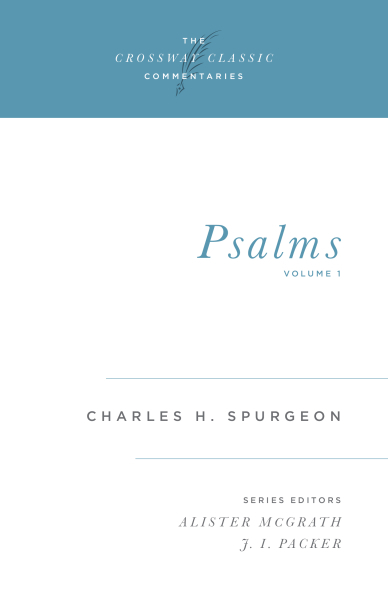 Charles H. Spurgeon spent twenty years compiling his seven-volume exposition of Psalms, which Crossway has carefully edited for the modern reader. In the words of Spurgeon in his Preface: "None but the Holy Spirit can give a man the key to the Treasury of David; and even he gives it rather to experience than to study. Happy he who for himself knows the secret of the Psalms.... In these busy days, it would be greatly to the spiritual profit of Christians if they were more familiar with the Book of Psalms, in which they would find a complete armory for life's battles, and a perfect supply for life's needs."